The Plotkin Inquiry: IP and Tech Law Review: Rightscorp Heads North: Will Canadian ISP Subscribers Start Receiving Settlement Demands? Rightscorp Heads North: Will Canadian ISP Subscribers Start Receiving Settlement Demands? An American rights management company called Rightscorp has decided to break into the Canadian market. Rightscorp has adopted a business model whereby it sends settlement demand letters for relatively small sums to people it believes have infringed the copyright in the works of its clients. It does this through software that identifies the internet protocol (IP) addresses of users that download a (or several) specific media file(s). The software then sends an automated letter to the ISP to which that IP address is associated once the same IP address "repeatedly infringes". From a review of its corporate site, Rightscorp appears to operate more or less exclusively in the music industry. One finds it hard to believe, however, that upon demonstration of a viable business model, other rights management companies dealing with film and software will not dive into the fray. By informing the ISP of a subscriber’s repeated infringement, Rightscorp assures that the ISP will pass on the settlement demand backed by the threat of termination of the subscriber’s internet service. If the ISP fails to do so, it risks losing its safe harbor status. 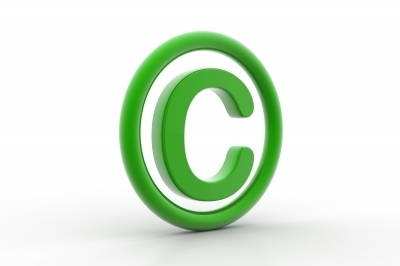 But Canada’s Copyright Act does not contain an analogous provision to 512(i)(1)(A) of the DMCA. How then does Rightscorp expect its business model to work in Canada? One potential incentive to move north could be the Federal Court's recent decision in Voltage Pictures LLC. v. Does, 2014 FC 161 in which it granted a Norwich order compelling the ISP Teksavvy to turn over the identities of over 2000 subscribers alleged to have downloaded the film "Hurt Locker". 2) There is no other improper purpose for seeking the identity of those persons. The goal of this test is to assure that the copyright holder has a bona fide claim of infringement before personal information is released. The Intervener, the Samuelson-Glushko Canadian Internet Policy and Public Interest Clinic (CIPPIC) argued that the subscribers' personal information was protected by the Personal Information Protection and Electronic Documents Act (PIPEDA) and Sections 8 and 9 of the Canadian Charter of Rights and Freedoms. PIPEDA sets out the instances in which an organization may produce personal information of individuals in its possession without the consent of those individuals. S.7(3)(c) says that an organization "may disclose personal information without the knowledge or consent of the individual only if the disclosure is...(c) required to comply with a subpoena or warrant issued or an order mad by a court...". S.7(3)(i) says that the organization may release the information when “required by law”. Voltage Pictures was therefore required to obtain a court order. Prothonotary Kevin Aalto ruled in favour of Voltage Pictures finding from the case law that while the privacy concerns of individuals must be considered (not only in determining whether the order should be granted, but also in carving out the scope of the order), privacy rights cannot be asserted as a standalone defense against wrongdoing. The Order of the Court in that case was very specific and included court oversight to assure that the wording of the letters sent to Teksavvy’s subscribers were proper. The Order specifically allowed for the subscribers to receive the full reasons for the judgement and required that the letter make clear that the court has neither ruled on infringement nor on the subscriber’s liability therefor. It is unclear how Rightscorp would fair if it attempted to use the same strategy. Remember that the test in BMG requires the moving party to convince the court that it actually intends to bring an action. Rightscorp’s entire business model has (to date) been predicated on issuing demand letters rather than proceeding with actual litigation. This would seem to imply that Rightscorp would not meet the bona fide standard required by BMG for a copyright holder to obtain subscriber information from an ISP. Prothonotary Aalto did allude, however, that it may be enough to show that the moving party plans on “enforcing” its copyright. Read broadly, this could include the issuing of demand letters (these being a standard “self-help” remedy). Rightscorp may also be seeking to rely on the Copyright Act’s yet un-enacted “notice and notice” provisions. Under this regime, a copyright holder believing its rights to be infringed may send a letter to that effect to an ISP. The ISP will in turn forward the letter to its subscriber (without revealing the subscriber’s identity to the copyright holder). Since this new regime will come into force by regulations that have not yet been written, it is unclear as to what the content of the notice letters will be. In an article on TorrentFreak, Professor Michael Geist noted that the notice and notice provisions of the Act say nothing about whether settlement information may be included in the notices. It is also unclear whether the content of the notices will be strictly governed by the regulations or whether additional content (i.e. settlement information) will be permitted to be included. One thing is certain, IP lawyers, rights holders, public interest groups and academics will all have an eye closely trained on Rightscorp’s Canadian expansion.